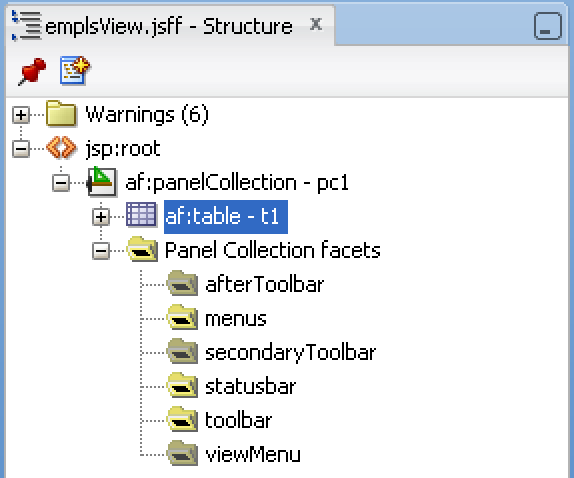 There is great new feature available in ADF 11g PS6 and ADF 12c - option to enable row selection timeout for ADF read-only tables. By default, when user is pressing up/down keyboard keys - every time row gets selected, even if user is navigating through multiple records, before selecting the one he needs. With row selection timeout enabled, table rows will not be selected while scrolling, until scrolling stops and required record gets selected. This should be default setting, I wonder why Oracle didn't enabled it by default. 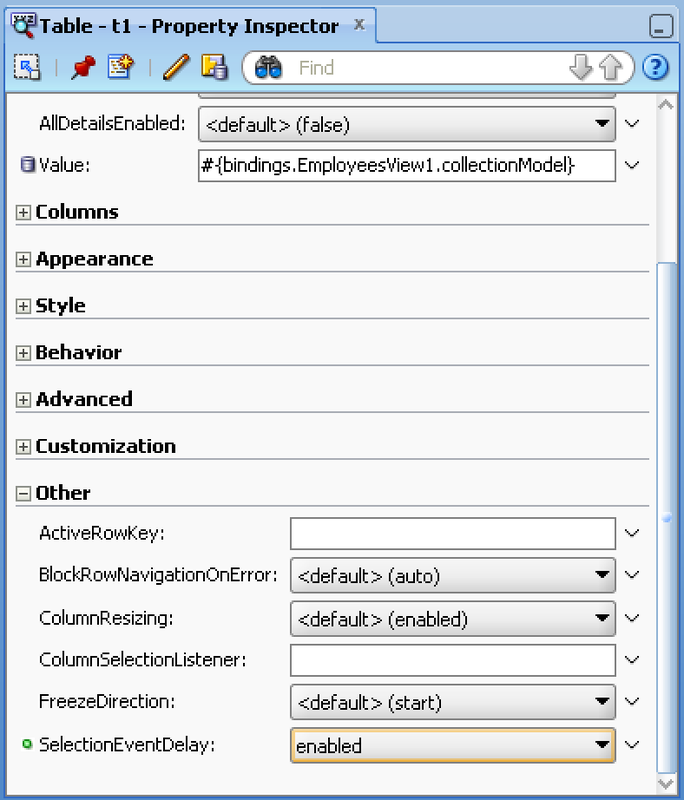 Download sample application - ADFTableScrollingTimeoutApp.zip. Nice post Andrejus.. Can we apply this to Tree component ? 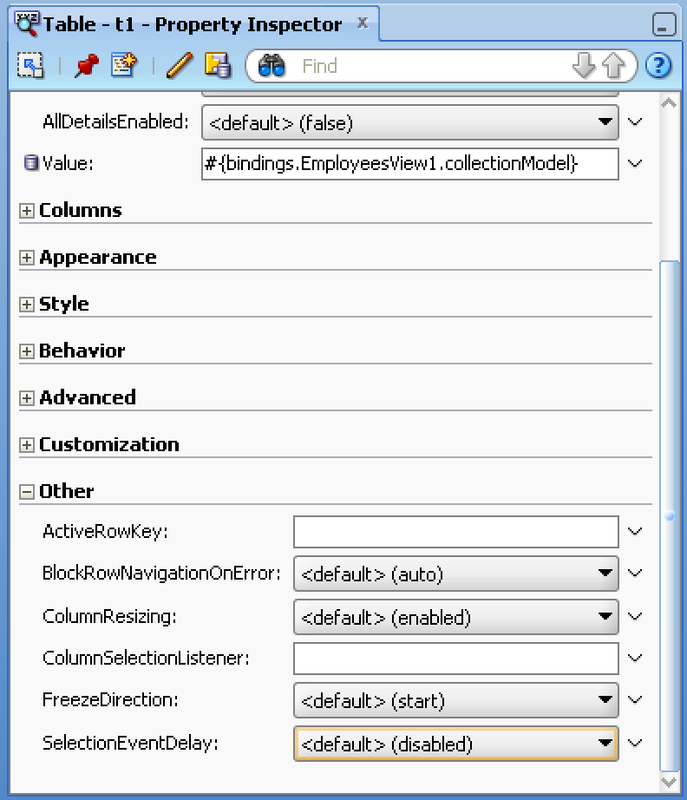 Yes, as the same SelectionEventDelay property is available for ADF tree component in 11g PS6 and 12c. 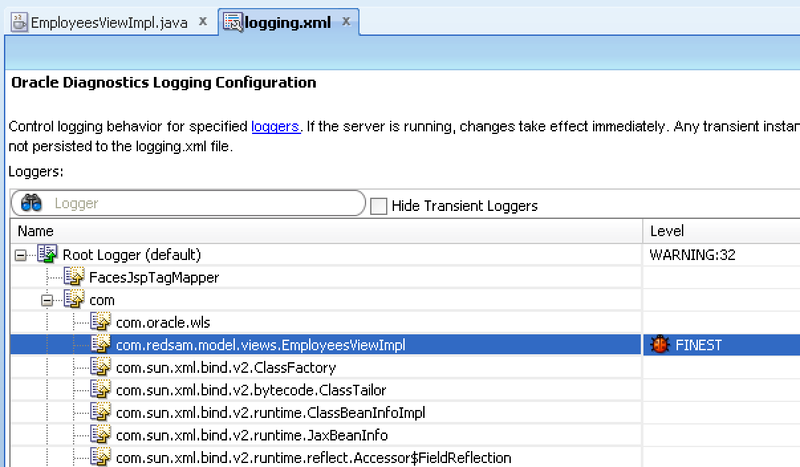 I am using Jdevleoper 11.1.2.3.0 , but SelectionEventDelay = enabled property no available in this version. Do I need any patch or update for this ? 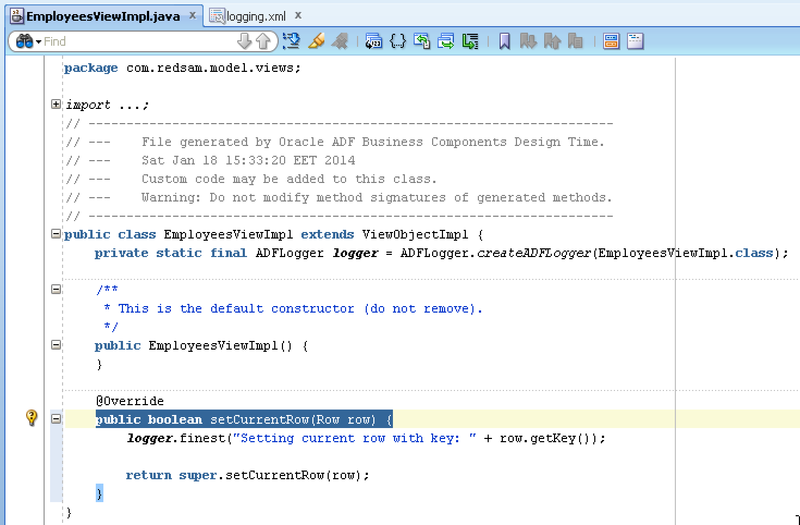 I think I have mentioned clearly in this post - property is available in ADF 11g PS6 and ADF 12c only.